Just a quick question. 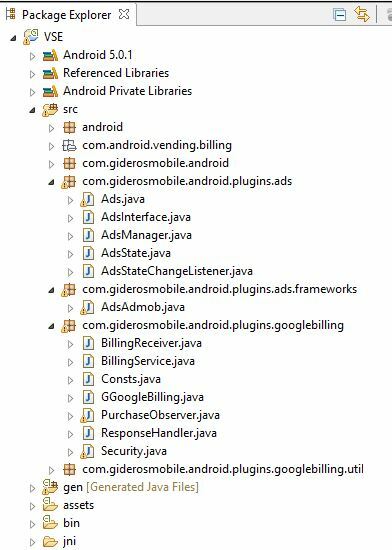 When does the AD_DISMISSED event get executed for adMob? All the other events are fired except for AD_DISMISSED. I assumed that the event would be fired after the user closes an interstitial ad. Is this correct, or am I missing something? It should run when ad is removed/disappears from the screen. If it does not happen for you, tell me on which platform and maybe you have an example code? 1. I'm testing on Android at the moment. 2. I have cut and paste some of the code below. Both banner and interstitial ads are displayed correctly and all events work except for AD_DISMISSED. Let me know if you need any further info. On further testing I don't get any events if I turn off the WiFi. I assumed that it would raise AD_FAILED event in this situation. 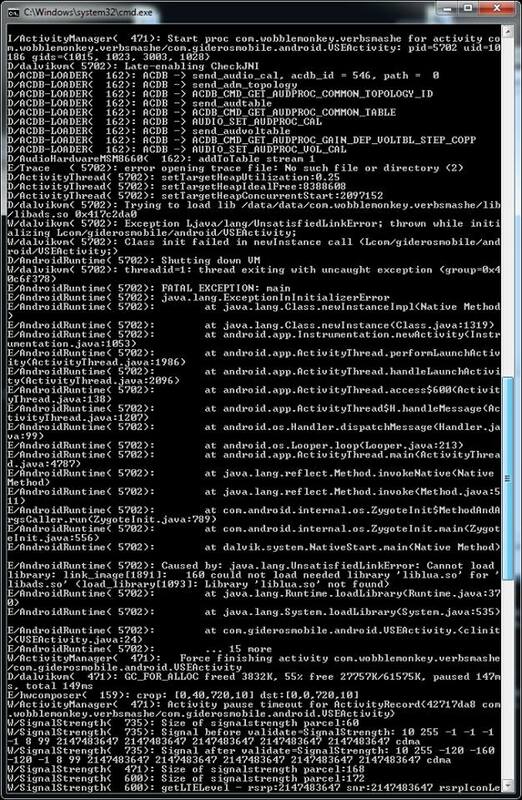 There maybe a problem with the eclipse project as the app does not start on my colleagues Sony Xperia S. The logcat reports the liblua.so was not found. However, it works on my Lenovo and Nexus 7. I have attached some screenshots in the hope that it is something very simple. to the bottom. My mistake!!! Sorry. It obviously depends on liblua.so. I'm not sure why it worked on my two devices but not on the Sony. I still can't figure out why AD_DISMISSED event is not working. I also still have a problem with AD_FAILED when I turn the wifi off. If it helps, I'm using just test ads. I found this thread with you adManager class. Looks very neat. I see that you use anonymous functions. I also noticed that there are no events registered for AD_DISMISSED. Do you use them at all? The AD_ACTIONEND fires when the interstitial ad button is closed. This is what I need but AD_DISMISSED does not seem to fire for adMob plugin. I also tested using real ads. I fixed AD_FAILED issue by implementing my own check internet available function.